Pratima is from the hill region of Ramechhap District, a part of Janakpur Zone, but came to Kathmandu for college. Her parents are farm laborers, who work long days for a “hand-to-mouth wage.” At age eight, Pratima convinced them to let her attend school in a community an hour’s walk from her home, because there was no school in her village. In high school, Pratima taught primary school to pay for her +2 education (last two years of secondary education after the year 10 School Leaving Certificate). 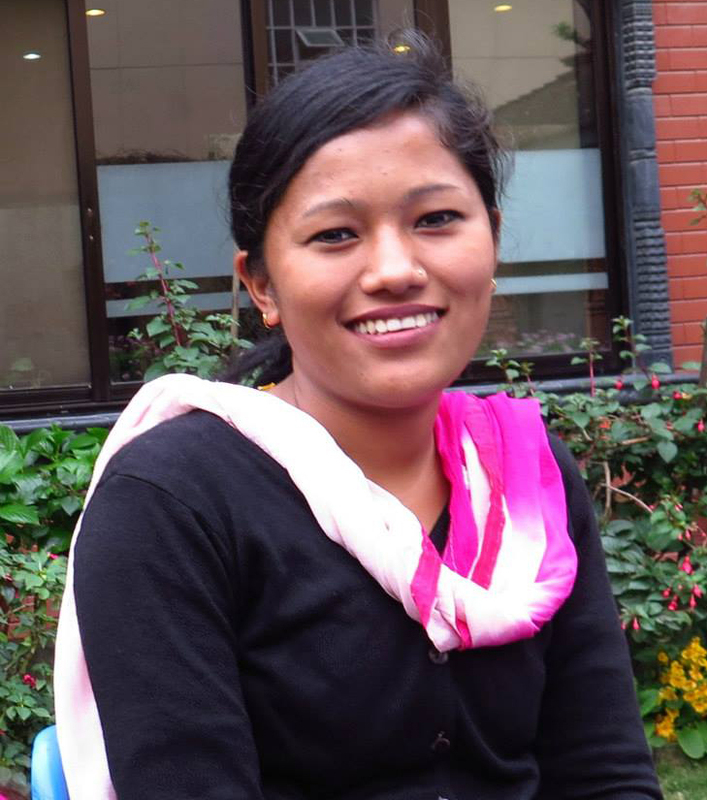 Attending university in Kathmandu has been a challenge for Pratima. She had to take a leave from school to go home and care for her sick mother. She struggles to keep up with school work, because she does not speak fluent English. Like most Nepalese students from remote areas, she attended a government school with no English language curriculum. She says her secondary education did not prepare her as well as classmates who received a private school education or attended school in the city. But Pratima perseveres and says she is gaining confidence. And she has a goal.